Sometimes when I’m working on something related to SharePoint, I come across scenarios where I’m constantly building up test data in Lists. Frequently when doing this, I have a need to almost constantly delete and recreate list items. Rather than using the UI or writing nice PowerShell one-liners (which for the record I love doing), I decided to throw together a little script for this. This script takes two mandatory parameters, one for URL and one for List Name. Assuming you give it the correct values, it will quickly use Object Model code to call the Delete() method against every item in the list (or library). Use this PowerShell Script to delete all list items, very quickly! delete SharePoint list items from a specified SPList. 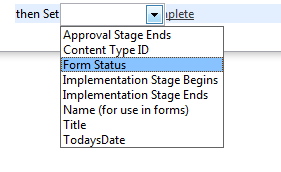 C:\PS>.\Delete-SPListItems.ps1 -Url http://intranet -ListName "Test List"
Write-Warning "Deleting all list items from $($ListName)"
Have you ever created an InfoPath Form Template and published fields from the template to SharePoint Columns in your content type? I’m sure you have, otherwise you probably wouldn’t be reading this. However, luckily we have PowerShell – and we can simply edit the ReadOnlyField value from $true to $false – thus allowing us to edit this field. Here’s how! I had some other scripts and functions that were similarly constructed, so I simply took one that was close and adapted it to make it work. This function, which I’ve called “Get-SPSiteInventory” will run against either an entire Web Application (using the -WebApplication switch param) or a single Site Collection (using the -SiteCollection switch param). I’ve tested this both by sending the output straight to a file (using the Out-File cmdlet) as well as just running in the shell – both work pretty nicely.
" - - - - - - - - - - - - - - - - - - - - - - - - - - - - - - - - "
I ran into one of those weird errors that just kind of gets under your skin because you think you’ve checked everything. 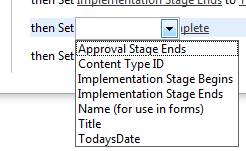 You’ve all seen Access Denied errors in SharePoint, but have you run into the one where users WITH proper permissions get it when trying to create a list item – in this case Publishing Pages? Very bizarre. I checked all of the usual suspects, permission inheritance, draft items in Style Library, Master Page Gallery, etc. Nothing. But then when I reached out to the search engines just for giggles, I found this post by Gunnar Peipman which gave me exactly what I needed. The permissions on the Master Page Gallery are unique, and users need at least “Restricted Read” to create pages. What’s frustrating is if you go into Site Permissions and view the Uniquely Secured Content, Master Page Gallery DOES NOT show up in that list. You’d think it would show you all uniquely secured content, but that’s not the case. Thanks Gunnar for the short post with the fix! 5.Add ‘Restricted Read’ access to the required groups. Ever have a need to delete list views using PowerShell? Of course you do, it’s a great reason to use PowerShell! Luckily for us, there is great access to the Object Model and we can readily access lists, items, and of course views. I threw together a nifty little function that accepts three parameters, WebUrl, ListName and ViewName and will remove a single view from a SharePoint list. The code is quite simple, basically we grab an SPWeb object using the WebUrl parameter – we then grab an SPList using the ListName parameter, and finally we grab an SPListView using the ViewName parameter. Once we’ve drilled down to the specific SPListView, we can call the Delete() method using the ID of the view.